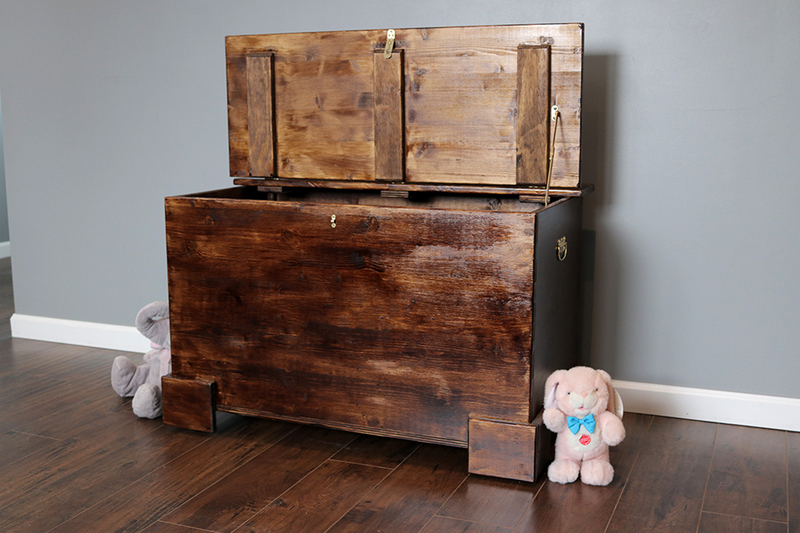 The hope chest was designed for kids to be used as a place to put their most precious toys, stuffed animals or memories. A solid construction made from solid pine sheets and metal lock/hardware. Once you open it, you get the fresh smell of walking through the woods since the bottom is lined with ceder boards. The Hope Chest is made-to-order based on your height, length and stain preferences. Answer the questions below we'll send you a quote based on your preferences. The base price for the version seen above is $295 + Shipping.